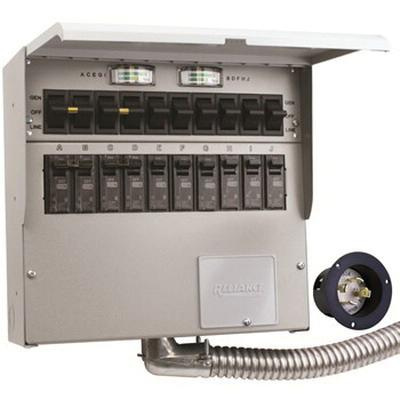 Reliance Controls Pro/Tran® 1-Phase Manual transfer switch withstands maximum current rating of 30-Amps and voltage rating of 125/250-Volts. It has power rating of 7500-Watts. This switch has maximum 10 1-Pole circuits and maximum five double pole circuits. It measures 11-Inch x 11.75-Inch x 4.5-Inch. Manual transfer switch is UL listed.